Prime Minister Narendra Modi also questioned claims by critics that there has been a substantial increase in such instances since he took over the country. Narendra Modi said there is a difference between the Sabarimala and Triple Talaq issues. Prime Minister Narendra Modi today termed mob killings as a "wrong" and "condemnable" social problem that everybody should unite to rectify. "Such incidents do not suit civilised society. Nobody should support such actions by people, whoever they may be... We are committed to ensuring justice for everybody," he said in an exclusive interview with news agency ANI. He also assured the people that his government does not "tolerate" any form of violence, be it by any party. 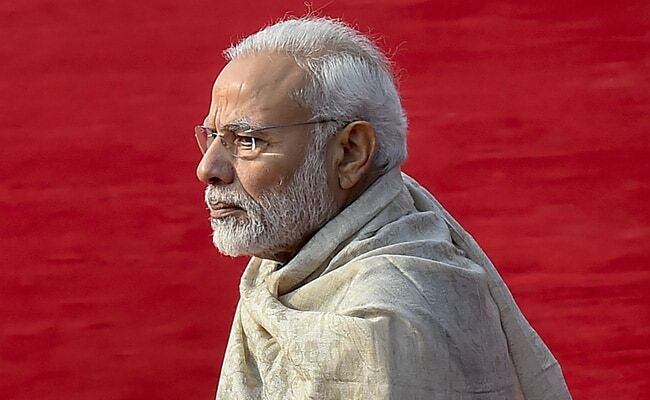 PM Modi then went on to question claims by critics that there has been a substantial increase in such instances since he took over the country. "The question is -- did mob killings start happening only after 2014?" he asked. "This is a social problem that everybody should join hands to fix, instead of comparing one government with another. Each incident of this kind is a bad thing. Respecting the Indian constitution as well as teachings of Mahatma Gandhi and Vinobha Bhave is the responsibility of every citizen. If we respect the ideals of others, our own ideals will be protected." The Prime Minister recalled the time when a prominent Islamic scholar remarked that the world should learn social harmony from India. The government treats all communities with equal respect in line with its "Sabka Saath Sabka Vikas" motto, he said, adding: "We did not go enquiring about communities before electrifying 18,000 villages." PM Modi pointed out that his government's attempts to pass the Triple Talaq Bill were not aimed at targeting the Muslim community. "Triple Talaq isn't practised even in Islamic countries. It is a matter of ensuring gender equality, not about hurting religious sensibilities," he said. He, however, clarified that his party's protest against the Supreme Court verdict on the Sabarimala issue was made on the basis of "tradition". A legislation aimed at penalising the controversial Islamic practice of instant divorce was passed by the government through the Lok Sabha before it got stuck in the upper house. The opposition wants the bill referred to a select committee for consideration. The Prime Minister also spoke on other subjects, such as demonetisation, the Rafale deal, the resignation of Reserve Bank of India Governor Urjit Patel, the Ram temple at Ayodhya and cross-border surgical strikes during the interview.